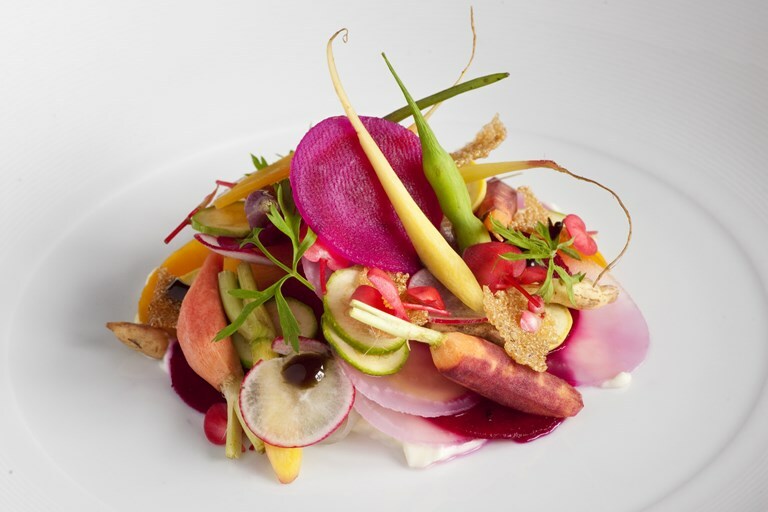 This vibrant salad recipe from chef Norbert Niederkofler is inspired by his love of quality ingredients, in this case heritage vegetables such as beetroot and carrot. Infused in both sweet and sour flavours, this salad has a wonderful combinations of textures from the vegetables, a fermented milk cream and a pumpkin seed oil. By only using ingredients grown and produced in the nearby Dolomite mountains, Norbert Niederkofler gave birth to a cooking philosophy famous across Italy.